Now that Bing owns about 30% of the U.S. market share by gobbling up Yahoo's search share, some people may want to know how to report search spam to Bing. How Can I Report Spam to Google? Does Google Investigate Spam Reports? That being said, if you wanted to report serious spam that you are afraid your children or grandparents would be hurt by, then here is how. 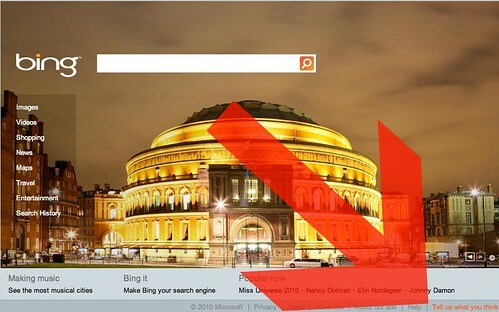 Go to Bing.com and on the bottom right, there is a link for "Tell us what you think." Click it and select "Found Spam" in the drop down on the form. Fill it out and pray they do something. The "Tell us what you think" is found on all the search result pages as well, so it is always in the bottom right hand corner of all the pages. You can also try this form or the Bing Webmaster Forums. Forum discussion at Search Engine Watch Forums & Bing Forums.